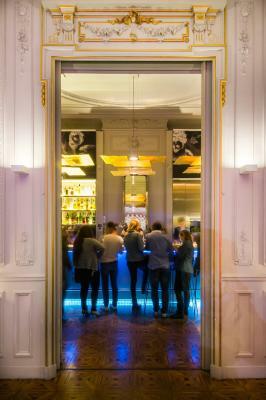 Lock in a great price for Hotel C2 – rated 9.2 by recent guests! Helpful in English. Great facility. Parking available. Staff are super helpful and friendly. Loved the little pool area. Rooms are perfect, clean and spacious. Can't wait to return. 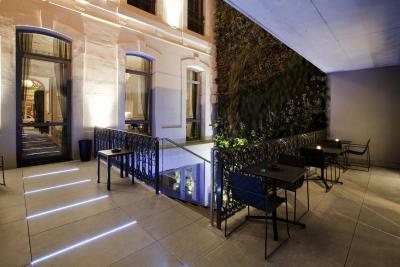 Great little boutique hotel that used to be a private home. Very interesting mix of old and new architecture. Staff were super helpful and nice. Breakfast was great although a little pricey. 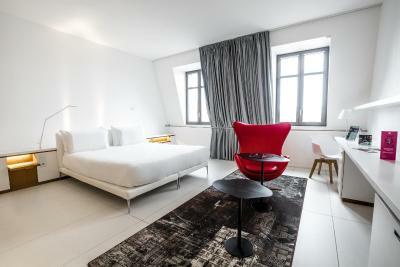 A super chic hotel located just minutes from the Old Port. The staff could not have been any more helpful, giving us fantastic directions and tips. The staff were very welcoming and helpful. 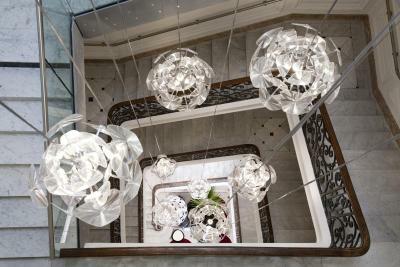 The hotel is beautiful and stylish. 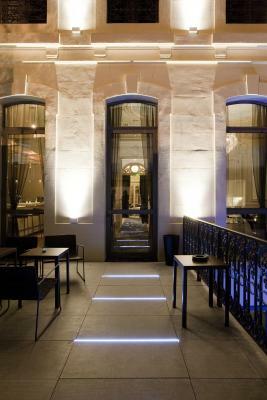 Modern decor within a restored traditional building. My room was spacious and very clean. 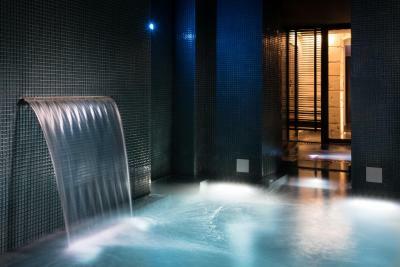 The spa is beautiful. I appreciated the early check-in as I was able to freshen up as soon as I arrived, ideal after a morning of travel. 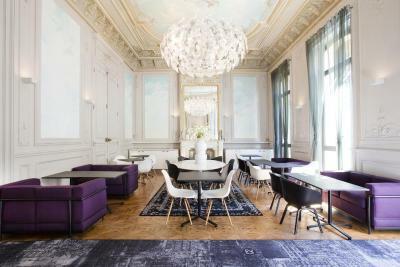 Beautiful boutique hotel with unique design and very stylish interior. Great friendly staff, very helpful. Cute pool and hot tub too. The mattress of the bed was very comfortable, with both shower and bathtub. 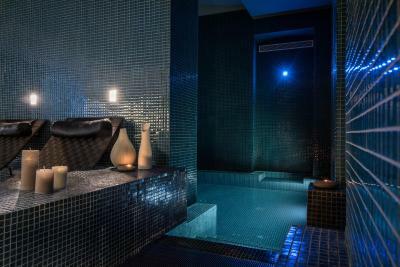 The underground spa was relaxing. 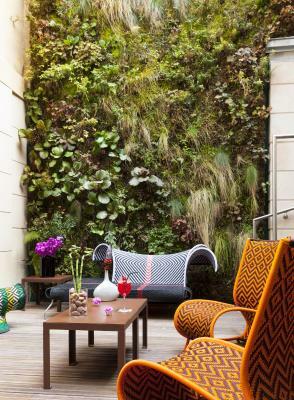 We also liked the courtyard walls with vegetation. Lovely spot to escape in Marseille. You are close enough to everything you may want to visit but also away from all the bustle in the central plazas. 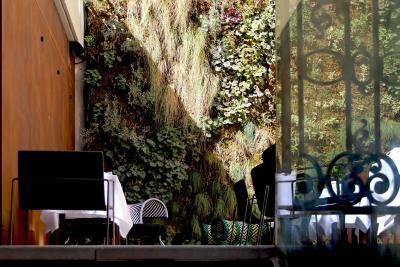 It's well designed and offers generous rooms and excellent facilities including the courtyard, bar and dining area. Staff were always on hand and happy to help. Great location, friendly and helpfull staff, excelent though pricy breakfast, very nice interior of the hotel and breakfast room. 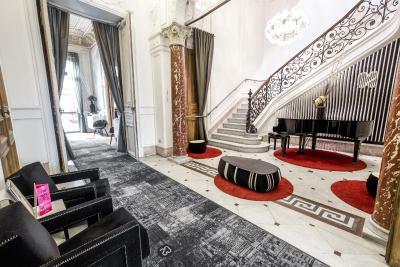 One of our top picks in Marseille.Featuring a grand piano, HOTEL C2, located in the Pierre Puget courtyard in Marseille, is a 19th-century private mansion converted into a hotel. 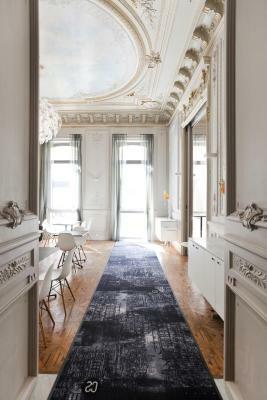 It features the original marble and parquet floors, columns, bas-relief sculptures, frescoes and bronze banisters, while offering a minimalist, contemporary twist. It opened in April 2014. The light and airy guest rooms are spacious with designer furnishings and have a private bathroom. 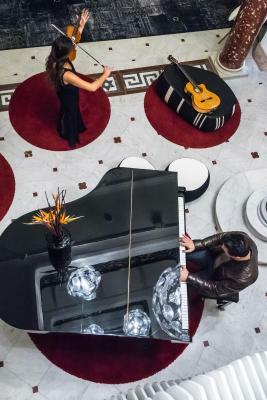 In the lounge you can enjoy home-made Sunday brunches, afternoon tea or evening drinks, with eclectic music in the background. 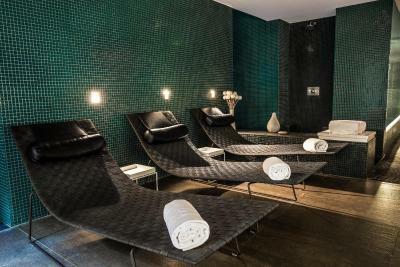 Facilities include a spa with a relaxation room, indoor pool, a bar and meeting room. 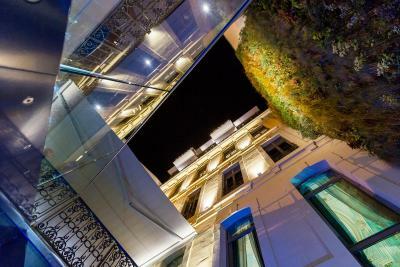 The hotel's specially-chartered boat leaves from the Vieux Port, and is available with the beach package. 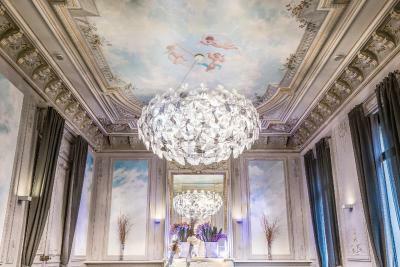 Each month the hotel also hosts art and photographic exhibitions and performances. 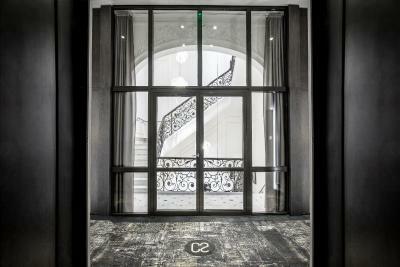 When would you like to stay at Hotel C2? These spacious unique rooms are tastefully decorated with sections of exposed stone wall, and have large private bathrooms feature a bathrobe and shower. You can choose king size or twin beds. Please note that no extra bed can be accommodate in this type of room. Only a baby cot is available for children under 2 years old. Private parking is available at a location nearby (reservation is needed) and costs EUR 30 per day. The Prestige Rooms are the most spacious rooms in the hotel, some measuring up to 67 m2. 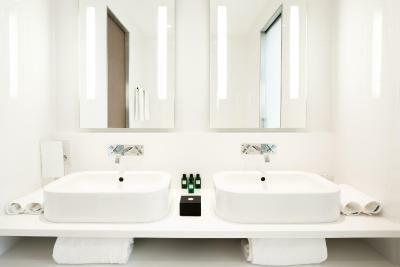 The private bathrooms are equipped with a bath and shower. You can choose a king size bed or twin beds. Please note that this room type can accommodate an extra bed upon request. An extra bed for children under 3 years old is available on request. 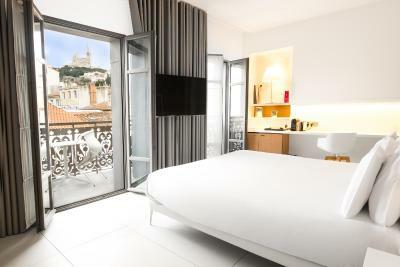 Located on the 4th floor, this exclusive double room features a terrace with a view over Noter-Dame de la Garde. The private bathroom is semi-open onto the bedroom and includes a shower, a steam room and a flat-screen TV overlooking the bath. This double room has a soundproofing, private entrance and air conditioning. This double room features air conditioning, satellite TV and mini-bar. This double room features a cable TV, tile/marble floor and tumble dryer . This double room features air conditioning, bathrobe and satellite TV. This double room has a mini-bar, cable TV and air conditioning. This double room features a cable TV, soundproofing and tumble dryer. This double room features a tumble dryer, private entrance and electric kettle. This double room has air conditioning, private entrance and tumble dryer. This double room has a soundproofing, mini-bar and tumble dryer. This room features a cable TV and private entrance. This double room has a soundproofing, bathrobe and mini-bar. This room has a cable TV and bathrobes. This double room has a cable TV, private entrance and mini-bar. This double room has a tumble dryer, soundproofing and bathrobe. - 2 American breakfasts served in the room. 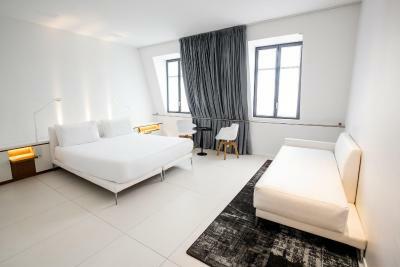 This double room includes a 2 hour tour with wine and pastis tasting. 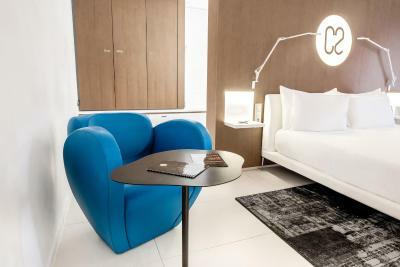 ideally located on the cours pierre puget in the heart of marseille, the c2 hotel, which bears the initials of its architect founders, opened in the spring of 2014. 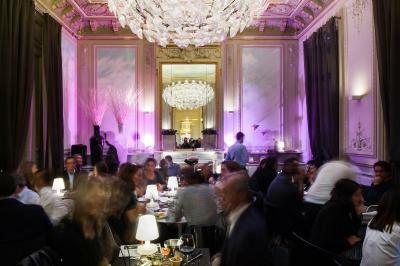 To begin with, the architects wanted to make this beautiful building, until now the sole property of its owners, accessible to all, witness as it is of a little-known marseille far-removed from the usual clichés, even though the extravagance of its decoration cannot hide the building's mediterranean heritage.